Team Fortress 2 servers come with "Game Switching" meaning (if you get bored of Team Fortress 2) you can change to any other game we host with a few clicks. We make full backups of your Team Fortress 2 server every day, you will never lose data at GTX. We are very proud or our TF2 server hosting. 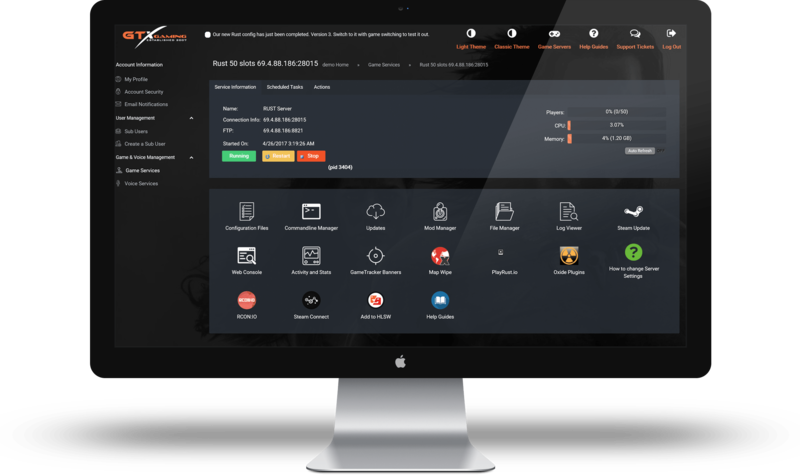 We have spent many hundreds of hours getting the control panel right so that you have the easiest hosting experience possible. You get full access to your database to make any changes you need fast. We have 24-hour support so should you ever need us we are just a message away and with a 24 hour no quibble refund you are risking nothing by simply trying us. If you want something added to our control panel simply ask and we can add the functionality. We want our game server hosting to be the best in the world and that means listening to our customers and delivering what they ask. Will my Team Fortress 2 server be online 24 hours a day? Yes, your Team Fortress 2 server is always online. That is the main reason to pay for game server hosting. All power and network traffic are covered in your subscription so that your server can be online all of the time. Even when your PC is turned off, your clan or community friends can join your server and play in your absence 24 hours a day, 365 days per year. How are Team Fortress 2 updates handled? If a Team Fortress 2 server update is released all you need to do is click the Steam Update button on our control panel. The server will begin to check your files and update as necessary. Once you are logged in your server may still be 'Installing'. This simply means that your server is updating to the latest Team Fortress 2 version via a Steam update. After a minute or two, click refresh on your browser and your server will be shown as 'Running' and will be ready for you to configure with your own server title and admin password. Why do i even need Team Fortress 2 hosting? Well, there are three ways you can host your own Team Fortress 2 server. You could rent a dedicated server and host a Team Fortress 2 server on it. This option has some great benefits and we do offer dedicated servers should you go for this option. With a dedicated server, you will get all of the resources focused on one or several servers so you can guarantee the best possible performance. You get root access to the machine so you can easily update the server and run it with a Windows batch file. However, on the downside, there is the initial setup of the Team Fortress 2 server which can take some time and expertise to get right, as well as updating it when an update comes out. You would also need to install MySQL and configure it. We do offer a TCAdmin2 license addon which gives you access to our control panel to create servers for only £20 extra per month which will make things a lot easier but with this option enabled you will not get root access (to protect our scripts). The best solution is to rent a server from GTXGaming. Server rental will give you the best value for money. You get the control panel for free, and we host the server 24 hours a day, seven days a week. Rest assured that we do not overpopulate our machines and your server will run as smoothly as if you had a rented dedicated server. 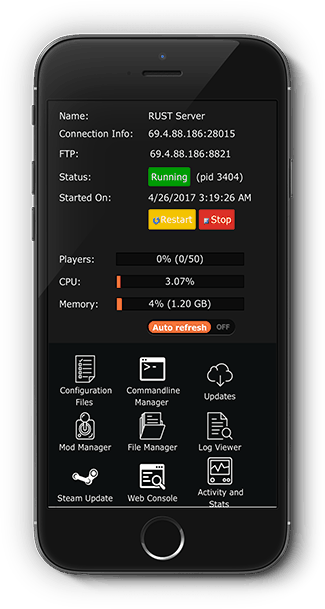 There are also added options of high CPU priority too so if your server is bustling with 100+ players you can add this to get things even smoother and with our 24-hour support you can be confident that you can get your Team Fortress 2 server up and running in no time. Get bored with Team Fortress 2? You can Game Switch to any other game we host with our easy switching tool. Switch back anytime you want. We zip up your Team Fortress 2 server on every reboot and upload it to our offsite backup NAS. You will never lose data at GTX. We hold data from every reboot for 60 days. Our automation means your Team Fortress 2 server will be up instantly no matter what time of day it is. As soon as your order goes to the client area, services and get your username and password. 24 Hour no quibble refund. If you order a Team Fortress 2 server from us and are not entirely happy we will simply refund you. Have you heard of the first-person shooter and team-based multiplayer video game that was developed and published by the Valve Corporation? Its name is Team Fortress 2, and it's a sequel to the Team Fortress for Quake's mod of 1996 and its remake of 1999. It was released for Windows and the Xbox 360 on the 10th of October 2007 as part of the video game compilation. On the 11th of December 2007, a version of PlayStation 3 was published and later developed as a complete title for Windows on the 8th of April, 2008. On June 10, 2010, this game was further updated to support OS X, and Linux on February 14, 2013. Steam (Valve's download retail merchant) managed its online distribution while Electronic Arts covered the retail distribution. Players fall in one of the two teams consisting nine character categories, in Team Fortress 2 and then begin to combat in an assortment of game modes which include king of the hill and capture the flag. The game's evolution is chaired by Robin Walker and John Cook - the creators of the first Team Fortress. Proclaimed in 1998, the game at first had more pragmatic, militaristic gameplay and visuals, but this shifted the stretched nine-year development. Team Fortress 2 often featured in Wired News' yearly vaporware list among other forms of the disgrace since Valve issued no data for six years. The terminated Team Fortress 2 had cartoon visuals shaped by the art of Dean Cornwell, J. C. Leyendecker and Norman Rockwell and was power-driven by Valve's Source engine. Team Fortress 2 got evaluative acclaim for its graphics direction, gameplay, wit, and usage of character in a multiplayer-only game. Valve goes on to issue new content, including items, maps, game modes, community-made updates and added materials. On the 23rd of June, 2011, it became free to play, backed up by microtransactions for unequaled in-game gear. A 'drop system' was also added up and fine-tuned in this update, permitting free-to-play users to periodically receive game gear and items by using a stochastic number generator. Although the game has had a community-run competing scenery for a long time, support for active play by ranked matchmaking and a modernized casual feel was added up in July 2016. 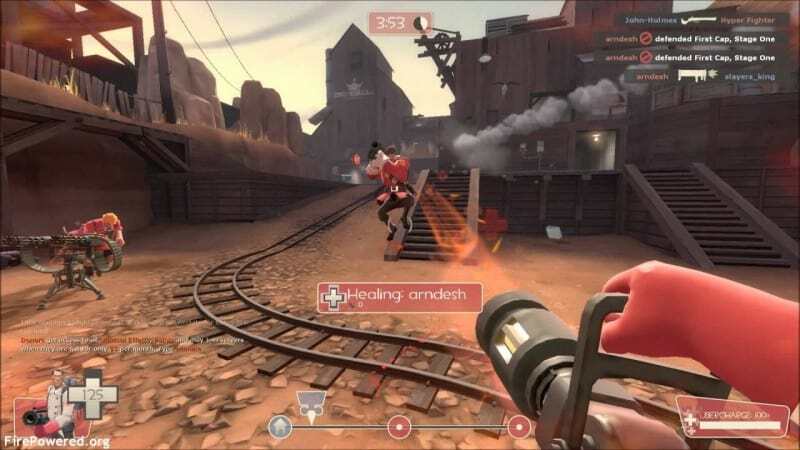 Team Fortress 2 has an identical gameplay as previous releases in the serial publication, and this is attributed to its focus around two opposing squads vying for a combat-based target. In the game's fable, the squads comprise of fortune soldiers that are hired by two disagreeing brothers to guard the company assets that belong to one brother while seeking to ruin the properties of the other. The squads are presented by the names of the companies: Builders League United (BLU) and Reliable Excavation & Demolition (RED). Players can also decide to play as part of the nine character set in these squads, each with his peculiarities - particular strengths, failings, and artilleries. To achieve these objectives, an equilibrium of the categories is required because of the interaction of these strengths and weaknesses with one another in a squad-based environment. 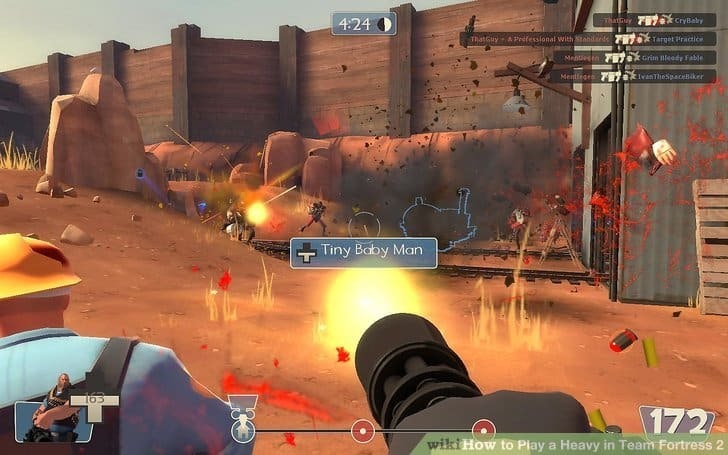 Although the powers of some types have been altered from previous Team Fortress avatars, the primary components of each category have stayed on, that being one basic weapon, one supplementary weapon, and one battle royal weapon.